How to coordinate extended time in the Kimberley to see things near their best? My wife and I have recently retired and in are in our late 50's. We are planning an extended trip from Adelaide beginning late March and will spend about 8 weeks in the Kimberly from late April through to the end of June before continuing down the WA coast. We have a 2008 Jeep Grand Cherokee and caravan that has become our mobile home. We have also set up the Jeep to do some short term camping (6 or 8 days). We certainly don't want to tow the caravan over the Gibb River Road and plan to base ourselves in Kununurra and Broome. I guess my main query relates to seeing the Bungles and Mitchell Plateau at their best during that time of year? 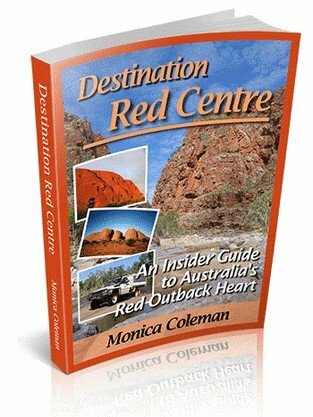 I have thought about going to the Bungles in early May (4-5 days), El Questro, Bell Gorge etc. in mid May (3-4 days) and then a trip to Mitchell Falls and Kalumburu (6-8 days). 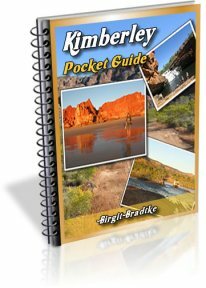 The rest of the time we will do day trips and explore the area around Kununurra. As separate trips to Kalumburu and El Questro require some back-tracking, is the trip to to Kalumburu worth the 6-8 days or would it be appropriate to visit El Questro, Bell Gorge in the same trip? Going to the Bungles first will also mean covering a fair bit of the same ground with the van when we eventually head to Broome. Is it really worth going as soon as we get there.? 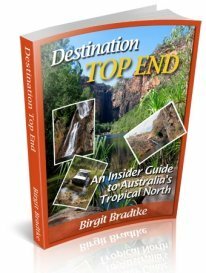 When we arrive in Broome we will spend time camping in the areas of the Western section of the Gibb River Road as well as the Dampier Peninsula and Cape Leveque. I realize these aren't questions about a specific itinerary, however, we have plenty of time and flexibility and would appreciate your comments so that we can see the best of what appears to be a magnificent wilderness area. Congratulations on a professionally presented and very informative web site. 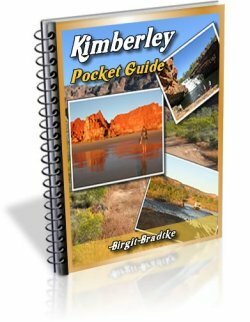 You passion and knowledge of the Kimberley area is obvious and highly informative. Comments for How to coordinate extended time in the Kimberley to see things near their best? That's a very tricky question, and the answer for most people is compromise. It's a dilemma I face every year. I can't be everywhere at the same time and there is no route through this area that allows you to catch everything just as it opens, without backtracking. Next, if your jeep is set up to spend 8 days in the bush, why not longer? You can get supplies in the stores at El Questro, Home Valley Station, Drysdale and Kalumburu. If you want to avoid backtracking you could make that one trip. As for the Bungles, well, sure, it would be sensible to tow the van to Warmun, leave it there, spend time in the Bungles and then continue to Broome. But here is the difficult part. You arrive mid April. You won't be able to get up to the Mitchell Plateau or Kalumburu. That is always the last road to open. Yes, it does involve a fair bit of backtracking, but it does indeed allow you to catch everything at the best time. For someone who wants to cover everything as efficiently as possible, with little backtracking, April in Kununurra would be too early. An efficient route never allows you to catch everything at its best. Sorry, no solutions to that one, only compromises! But really, overall I think your plan sounds just wonderful. I myself would just do the backtracking... You will end up not wanting to leave here EVER. You have confirmed what we thought, but I think we will now try to to do El Questro etc. and the Mitchell Plateau in one go. Will just have to do without the creature comforts for a few more days than planned and, yes, I did mean Emma Gorge. I'm sure we will leave reluctantly as there is lots more places to explore, however, I know we will be back, probably for the wet season as well. Thanks for your reply and will let you know how things go.